The Weather Wizard is here (again)! 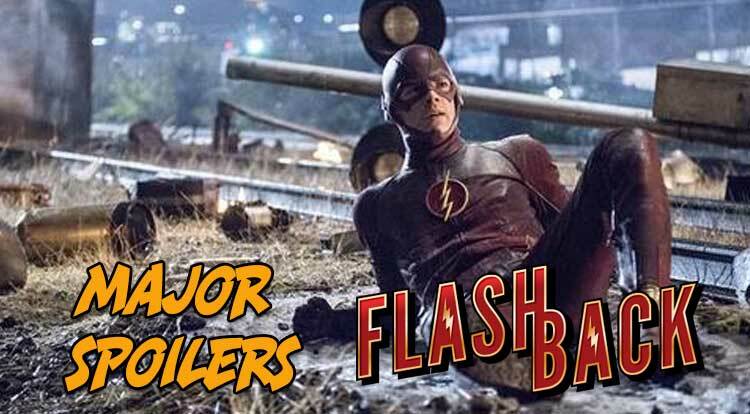 With Joe West caught in the crosshairs, it’s time to take a look at the episode in an all new installment of Flashback! NOTE: Expect a lot of F-bombs, Holy S***s, and more after the jump! While many will point to the first appearance of The Weather Wizard in the first episode of this series, that was actually the Weather Wizard’s brother. While Clyde was an easy introduction of metahumans in the Arrowverse, I think the creators quickly realized recurring villains are much easier to write and cast than a villain of the week that gets killed off. Regardless, Mark Mardon is not the first person in comics or television to control the weather. Mark’s brother, Clyde was a scientist who discovered a way to control the weather before dying of a heart attack. Mark took his brother’s notes and technology (The Weather Wand that also appeared this week) and turned into The Weather Wizard in The Flash #110 (December 1959). The Weather Wizard went away after the events of Crisis on Infinite Earths, but resurfaced bigger and badder during the Underworld Unleashed event (mainly because his green costume looked freaky with the new green ink DC Comics was using at the time). In comics, The Weather Wizard’s doesn’t need technology to manipulate the weather. 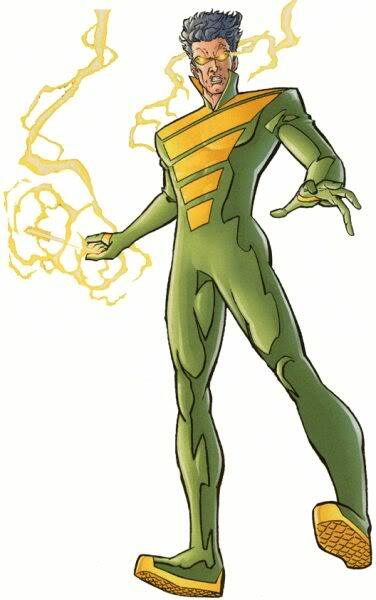 Weather Wizard originally wielded a wand that enabled him to control weather patterns. Weather Wizard has used it to produce blizzards, summon lightning bolts, fly using air currents, produce fog and generate winds. Essentially Weather Wizard can produce any type of weather pattern imaginable, as well as other phenomenon such as tornadoes. RecentlyInertia destroyed his wand, using 30th Century psychological therapies to remove Weather Wizard’s mental blocks. He can now control the weather without his wand. Weather Wizard has also shown limited control over magnetism. In The New 52 reality, Marddon returns to using his wand, but reveals that the device drove him crazy. Weather Wizard was created by John Broome and Carmine Infantino. While I enjoyed the heck out of the first meta reference Cisco made a couple of episodes ago, this week’s naming of Weather Wizard seems a bit too breaking the fourth wall to simply be a wink and a nod to the audience. Is Cisco secretly telling us something he knows about the world he lived in? Will Flash make the jump and find himself in Julius Schwartz’s office in the future? Cisco is dead!? What about Vibe!? What about the cool villain names!? WHO IS RESPONSIBLE FOR ALL OF THIS!? Final speculation has been wiped as Dr. Harrison Wells revealed that he was indeed Eobard Thawne, a distant relative of detective Eddie Thawne, who has been trapped in the past these last 15 years. Eobard Thawne was born in the 25th Century, a time when you could genetically engineer your child. Eobard’s parents tweaked his code to make him super intelligent, but in the process made him very anti-social. On the plus side (if you want to look at it that way), Eobard was intensely interested in everything related to the Speed Force, and in a weird time travel twist that is about as wacky as Bill and Ted reminding themselves to remember a trash can, a future version of Thawne travelled through time to kill those that blocked his way, including his younger brother and Professor Drake, who worked at the Flash Museum studying the Speed Force. His altering of the timeline allowed Thawne to take over Drake’s position at the Flash Museum, and because of his knowledge of the Speed Force, he was given the nickname Professor Zoom. There’s a whole string of really crazy and creepy tweaks to his own timeline, which also explains why Nora was killed in the television series. Thawne longed for the good ole days of superheroes, and wanted to live and meet Barry Allen. Unfortunately, the Cosmic Treadmill wasn’t calibrated correctly, and Thawne ended up arriving after Barry Allen’s death. This drove him a “little” crazy causing him to believe he was Barry Allen, and kicking off a strange relationship with Wally until the cracks began to show in the Return of Barry Allen storyline. In a really complex and convoluted story involving Wally, Barry, Fiona Webb, and TWO Zoom’s (Eobard and Hunter Zolomon), Barry, running at super speed, clotheslined Zoom snapping his neck and killing him. Interestingly, there are a couple of times others have posed as Professor Zoom to screw with the Scarlet Speedster. One was the already mentioned Hunter Zolomon, and the other was none other than… Abra Kadabra. During the events of Blackest Night, Thawne was resurrected and became The Black Flash. 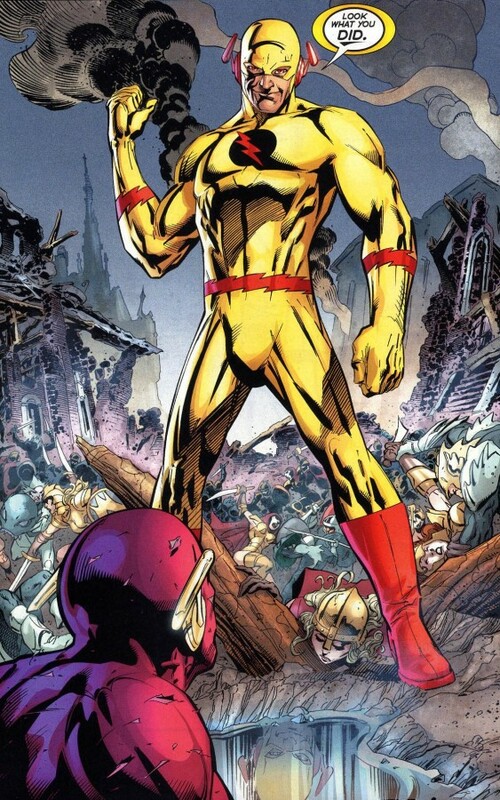 Eobard Thawne first appeared in The Flash (vol 1) #139 in September 1963. The character was created by John Broome and Carmine Infantino. This episode really proved how horrible (and thus how great) a villain Harrison Wells really is. As we mentioned in other installments of Flashback, the comic book version of Captain Singh is secretly homosexual and in a relationship with Pied Piper. Andrew hasn’t been given a last name in the television series, but I’m going to bet it isn’t Rathaway. From the “Because Stephen Can’t Let It Go Department” this week, we take a look at Mark Mardon’s apartment. If you didn’t notice, he lives in a rundown place, in apartment #123. Flash #123? Does that ring a bell for anyone? Either the creators are really starting to screw around with this, or this means something! As a nice touch, Rust Iron Brewing also made an appearance in the apartment scene, but you needed a fast eye to catch it. You may remember, Rust Iron Brewing made an appearance in The Flash is Born (s01e06), and is located in Keystone City, the home of Jay Garrick! IT’S CALLED A SECRET IDENTITY FOR A REASON! 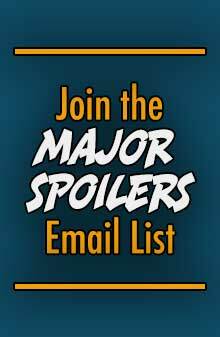 After this week’s episode, it is time once again to update the list of everyone who knows Barry’s secret. Barry Allen Time Travels In This Week’s Episode! Time travel is always a tricky situation, you never know where you’ll end up, or if stepping off the path will alter the course of history. Or in this case, traveling back on your own timeline and giving you the ability to undo everything in this episode. The cliffhanger to this week’s episode is definitely a Holy S**! moment. On the plus side, because Barry has traveled back in his recent timeline, there’s a good chance he’s going to undo the Iris West knowledge, and hopefully bring Cisco back from the dead. On the negative side… we’ll we’ve seen the Flashpoint Universe and what kind of crazy stuff happens there. Next week’s episode is called Rogue Time, and I don’t think it will only focus on Captain Cold and Heat Wave. 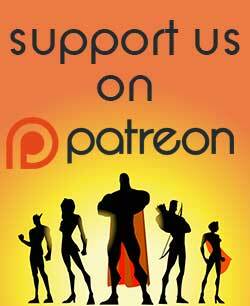 Want to hear Matthew Peterson and I sit down to discuss this episode in detail? 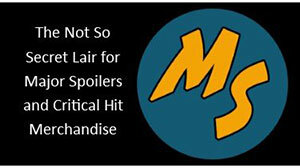 If you are a Major Spoilers VIP, look for the Flashback Podcast hitting the VIP site soon! I’m not crying over Cisco just yet. After all, there are wibbly-wobbly timey-wimey elements in play here, and then there is the fact this is a show based on a comic and people rarely stay dead in comics. As for the whole gay rights issue, I didn’t really think about that much until I read this article, which makes me feel kinda bad that I didn’t. Even before gay marriage was legalized here, the hospitals in my area mostly let my partner in as family (and I requested a transfer out of the two that didn’t), and she was allowed to make decisions for my care. I’m in the hospital quite often due to my health issues, so I guess I just got used to it. I often forget that not everyone is as lucky and there are places where a person’s partner (or even husband/wife if they married in another state) aren’t given the same rights as family. I thought they could have explained Wells being in two places better. He would have to change clothes 100s of times each second. Didn’t like that. That’s an oldie. Superman and Flash used to do this quite regularly in the Silver Age. I don’t mind the after image thing. But having to change clothes back and forth doesn’t work for me. It would have been better if Wells was able to slip through time just enough to interact with himself but can’t do it for more than a minute.